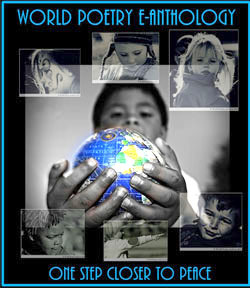 World Poetry Celebrates Quinsin Nachoff ! 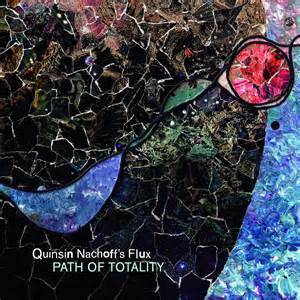 Ariadne’s Notes: On Jan, 17, at 1:30 PM PST, The World Poetry Café was delighted to have our second guest,the talented Quinsin Nachoff calling in from New York to talk about his new CD Path of Totality out February 8, 2019 via Whirlwind Recordings. The collaboration with six filmmakers is outstanding. I loved the connection with science and space as well as Quinson’s passion for his work and attention to detail. I also want to thank our tech Victor Shartzman and special volunteer Sharon Rowe for another wonderful show. Great thanks to Braitwaite and Katz for sending such great musicians and for providing source material. 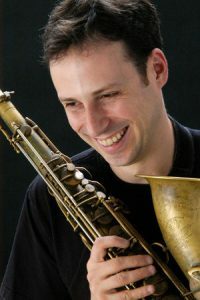 NYC-based saxophonist and composer Quinsin Nachoff has earned a reputation for making “pure, bracing, thought-provoking music” that is “cliché-and convention-free” (Ottawa Citizen). Since moving from his native Toronto to New York City, Nachoff has made a habit of freely crossing borders: his music moves fluidly between the jazz and classical worlds and manages to be soul-stirring at the same time that it is intricately cerebral. His passions reach into both the arts and the sciences, with concepts from physics or astronomy sparking inspiration for exhilarating compositions. As a saxophonist, Nachoff’s playing has been described as “a revelation… [p]arsing shimmers of Sonny Rollins, Wayne Shorter and Mark Turner” (DownBeat). He was a semifinalist in the renowned Thelonious Monk Jazz Saxophone Competition and has been nominated for numerous Canadian National Jazz Awards. His diverse ensembles include Flux, the Ethereal Trio, Horizons Ensemble and FoMo quartet as well as the Pyramid Project. Quinsin Nachoff Internationally acclaimed composer and saxophonist Quinsin Nachoff has commissioned six cutting-edge filmmakers to create original work in response to his new recording Path of Totality out February 8, 2019 via Whirlwind Recordings. The recording features Nachoff’s remarkable ensemble Flux which thrives in the space between genres, styles and inspirations. • Bounce by Lee Hutzulak. The video, which was released on January 14, reflects the piece’s percussive outbursts and thrilling call-and-response built on the mathematical model of a bouncing ball. The film can be viewed at https://youtu.be/EfBNkSxkZx4. Neither Toronto nor New York, the two cities that Nachoff calls home, offered prime viewing conditions as the moon eclipsed the sun in August of 2017. But Nachoff, who has long drawn inspiration from the scientific wonders of the universe, couldn’t help but be moved by this rare astronomical phenomenon – and to find a degree of solace in it. In the Path of Totality could be found hope that this, too – whatever “this” might be in the moment, whether political, personal or environmental – will indeed pass. At its foundation Flux is a quartet, though at times on Path of Totality a quintet and sometimes more, employing a vast array of instruments and a vivid palette of musical colors to create something that is consistently surprising as its shape morphs from moment to moment over the course of these six epic-length pieces. In saxophonist David Binney, Nachoff has a frontline partner with a keen-edged tone and a refined ear for texture, having integrated electronics into his own work as an artist and a producer that expand and mutate his sonic environments. Matt Mitchell is a rigorous boundary pusher, a pianist and composer who astutely avoids obvious choices in favor of pressing fervidly into the unexplored. Kenny Wollesen couples a similarly adventurous instinct with a passion for the playful, as reflected not only in the eccentric arsenal of invented instruments known as “Wollesonics” but in the buoyant swing he maintains even in his most complex and abstract rhythmic excursions. The new addition this time out is Nate Wood, who alternates and at times shares the drum chair with Wollesen, lending the band an urgency and avant-rock propulsion familiar from his work with Kneebody. While that combination of voices would offer a wealth of possibility for any composer, Nachoff was handed an even larger palette by Canada’s National Music Centre, a non-profit organization dedicated to promoting Canadian music through exhibitions, performances and educational programs. As one of the NMC’s first Artists-in-Residence, Nachoff was granted access to the Centre’s extensive keyboard collection, an enormous resource of both acoustic and electronic instruments. Raised in a household where electronic music was not only heard but composed, Nachoff has long been spurred to follow his own, more acoustic path, but the NMC’s collection proved too tempting to resist. Both Mitchell and producer David Travers-Smith have a field day with the array of instruments. This entry was posted in Ariadne's Notes, E-Poets, Featured musicians and artists., Featured Poets, General and tagged Author Sharon Rowe, Braitwaite and Katz, Quinsin Nachoff, Victor Schwartzman on February 5, 2019 by Ariadne.